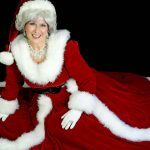 How Did Santa Claus Meet Mrs.Claus? 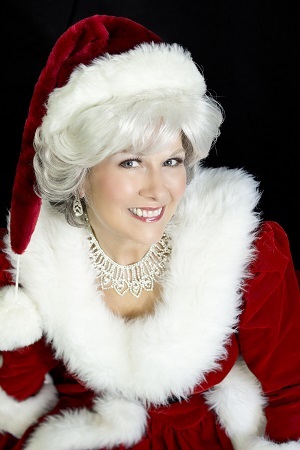 Santa Claus’s wife is named Holly Claus, aka Mother Christmas. 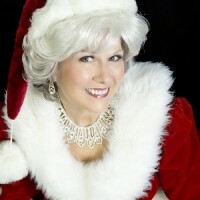 However, she’s best known as Mrs.Claus. Despite standing next to the most famous supernatural man in history her life seems to have been shrouded in mystery until now. Holly’s Father Daniel McBride was an Irish immigrant and young Architect who aided in the construction of several buildings within the United States Capital. Her Mother Janey McBride was a homemaker, originally from Scotland, who nearly died during Holly’s birth, and was told by Doctors she could never risk having another child. 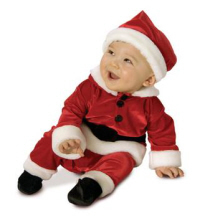 Holly Claus was born Holly Janey McBride On Christmas Day 1792 at precisely 12:12 AM in the new City Of Washington DC. Fate placed Santa’s diabolical identical twin brother, The Anti-Claus, in the vicinity of Holly’s home as she was being born. As usual, The Dark Claus was out attempting to halt Santa’s deliveries and destroy Christmas. Truly the Dark Claus was the original Grinch, and Scrooge combined! Of course, the Grinch was at one time his Chief Gnome before delusions of grandeur caused a parting of ways. The Anti-Claus heard Holly’s newborn cries and eyed the baby through a frosty window. Something about Holly caught his eye, and he decided to take her as his own child. Something this despicable individual had done before! Generally, the child was raised mostly by his Dark Gnomes, and became a horrific human deep into the dark demonic magics! The Anti-Claus, aka Claude Claus, kicked the front door of the house causing it to shatter into splinters while mockingly laughing maniacally, “Ho Ho Ho Merry Mad Christmas! 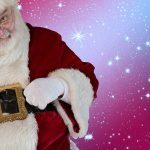 Bwwwwwaaaaaaa ha ha ha!” Daniel ran from the bedroom, leaped for his single-shot Flintlock pistol, and shot the Anti-Claus square in the heart. Unfortunately, it merely bounced off the Demi-Demonic menace! He kept cackling insanely as his eyes glowed crimson with sinister glee. Without any effort, he shoved Daniel through a wall knocking him out cold while Janey screamed amid Holly’s whaling. The Midwife who aided in the birth was on her knees shaking in a corner as she kissed her crucifix necklace, and said the Lord’s Prayer silently. The Anti-Claus glared at her, and bellowed, “Shut that nonsense up, and cover that vile artifact…..or else!” The Midwife complied and cowered into the fetal position. 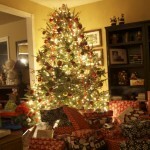 The Anti-Claus then calmed himself, and gently said to Janey, “Oh sweet Miss don’t be sad for your child will be mine. Your baby shall be raised in my Island Mansion in the Pacific. She’ll awaken to warm island breezes, lovely sunsets, and my pack of Hell Hounds! Her dreams will be filled with my demon masters!” He started laughing like a loon again, and ripped Holly from Janey’s bosom! Janey pleaded with Claude but her cries fell upon deaf ears as he strolled right out the front door into the cold snowy night. Christmas deliveries until 4 AM. With him were three helper Elves chosen each year by lottery to join him on his magical journey through the starry Christmas skies of Earth. Suddenly the psychically keen Claus sensed trouble below. He then spotted his brother Claude launch upward in his black sleigh pulled by 8 levitating Hell Hounds led by an obedient sapient Werewolf named Wickaninnish! Santa heard the baby scream and focused his Angelic vision to spot Holly in the Anti-Claus’s arms. He then had a retrocognitive vision of the child’s abduction. 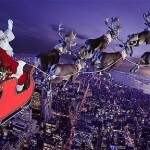 Santa flew into hot pursuit and chased the Dark Claus west into future California in the blink of an eye. The Anti-Claus felt an unidentifiable special bond with Holly he never felt before. So much so he ignored his usual instinct to attack Santa, and just attempted to flee from him, and hide with the precious child! Santa also went against his usual instinct of peace, and carefully opened precision magical fire on his evil brother’s Werewolf. He was successful in de-transforming the Werewolf Wickaninnish back into human form. Santa then sent a metaphysical energy surge into the confused Hell Hounds. The dark sleigh of stolen gifts, meant to be re-gifted to the loyal forces of darkness, plummeted into the Pacific Ocean. Thankfully Santa swooped down and used his telekinetic Force-like powers to levitate the Baby Holly into his warm caring arms. The Anti-Claus and his motley crew splashed into the ocean while Santa turned around, and flew back to Washington DC. As he held the now smiling Holly in his muscular arms he felt the same overwhelming enchanted bond that his twin brother the Anti-Claus had felt. Not even his ancient Angelic mind could explain what he was experiencing. Clearly in violation of the Supernatural Secrecy Pact Santa Claus landed his sleigh on Daniel McBride’s front lawn, and walked into the house with Holly. The house had grown cold without a front door. While holding Holly in one arm he motioned his other arm causing red, and green glitter to flying forth past his three little Elves into a small tree outside. As it fell over one Elf still standing outside the doorway yelled, “Timber!” Santa then said, “Please give these good folks a new door my little Elves.” In unison, all three replied, “Yes Santa Sir!” Two scurried to the tree at super speed while the third got the toolbox out of the sleigh. They then began constructing a new door. Santa headed toward the bedroom Holly was born in but noticed her Father lying on the floor unconscious. Saint Nick rested a hand on Daniels forehead. A soothing amber glow radiated forth healing him. Although he was still asleep as Santa carried Holly into the bedroom. The Midwife was sobbing with Janey on the bed when Santa entered. The Midwife screamed thinking it was the Anti-Claus, and dove under the bed. Janey quaked with fear. 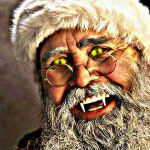 Santa then serenely stated, “Ma’am I sincerely apologize for the horrifying actions of my twin brother Claude. I’m returning your baby to you unharmed.” He gently rested Holly back upon her mothers bosom as Janey lovingly cradled her baby. She smiled while weeping tears of joy for the safe return of her Christmas newborn. screaming, “Be gone you demonic scourge!” He attempted to impale a sword through Santa’s back but it merely shattered into metal bits. Daniel just stood there silently shocked. 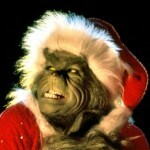 Santa just smiled, and said, “Fear not for my abominable twin has left your pleasant presence. My name is Nicholas, and you are now under my protection! No harm shall ever fall upon you or your daughter. You will know I am always with you when you find a brightly wrapped gift under your Christmas tree from Santa Claus.” Daniel then replied, “What are you? What were those Dwarves at my front door?” Santa exclaimed, “Those are my Elves repairing your door, and I am a being born of an Angel many centuries ago. I only wish to bring peace, and happiness to humankind, unlike my unfortunate brother who has descended into diabolical demonhood! I must take leave of you now as I have much work to do. 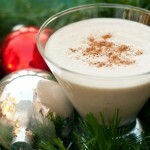 Merry Christmas, and may you have the happiest of New Years! Oh, and don’t tell anyone about this, or they’ll brand you as being delusional, or possessed by a demon.” All bid farewell as Daniel followed Santa out past his completed new front door. Before leaving Santa patted the door, and said to Daniel, “This door is of enchanted Elfin construction! It will stand the test of time, and deter any intruder!” The three Elves beamed proudly on the front porch as they gazed upon their fine handy work. Daniel looked on with awestruck amazement as Saint Nick flew off into the skies in his red sleigh to resume Christmas deliveries. And so Santa kept his word to protect the Mcbride family by personally blessing their home so the holiness would repel the Anti-Claus. In addition, his Human-Angel Hybrid mind sub-consciously focused on the family he could know in advance if danger was near, and be there as fast as light itself! The Anti-Claus was aware of this and only attempted to kidnap Holly on Christmas when Santa was clearly occupied with his deliveries. However, every time Claude, and even his paranormal cohorts would attempt to get near the McBrides a plethora of magical practitioners would repel them with extreme prejudice. Many of them were close allies of Santa who practiced Enochian Angel magic. The Dark Claus was simply unable to get anywhere near Holly, and he eventually gave up so he could fully concentrate on destroying Christmas! 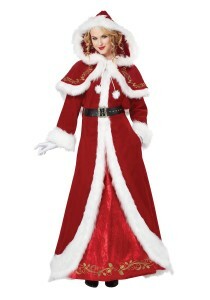 Thus far only Mrs.Claus has the power to briefly warm the Anti-Claus’s dark heart! 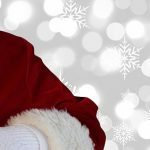 Part II: How Did Santa Finally Meet Holly McBride As An Adult & Marry Her? 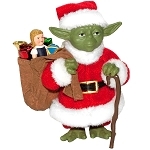 This entry was posted in Anti-Claus, Holly Claus, Santa Claus and tagged Mrs. Claus. Bookmark the permalink.